Pantene Company and Products Review 2018: Pantene Purpose! 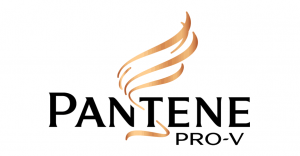 Home | Hair Care | Pantene Company And Products Review 2019: Pantene Purpose! 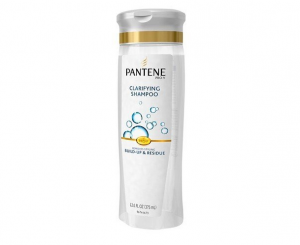 Pantene Company And Products Review 2019: Pantene Purpose! You know how people say, “Her hair looks like it should be in a Pantene commercial” when it’s strong and thick and brilliantly shiny? Pantene has held quite a reputation for some time, and a well deserved one at that! Their products feel luxurious, smell absolutely amazing and are extremely well formulated. This iconic brand has also been all about celebrating and empowering women with their Beautiful Lengths program which provides wigs to cancer patients, their Truly Natural line which brought some ethnic diversity to the mainstream hair market, and their “Strong is Beautiful” campaign. K, I’m going to stop fangirling and get into the history and products of Pantene – welcome to our Pantene company and products review! In 1945, Hoffman-LaRoche launched a line of luxury hair products in Switzerland named Pantene – after panthenol, a star ingredient of the formulas. Panthenol is a provitamin of B5 that softens and heals hair, hence the PRO-V part of the current brand name. 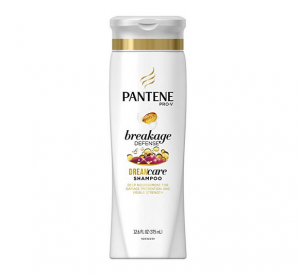 Pantene was acquired by Procter & Gamble in 1985, marking the conglomerate’s first venture into the cosmetics industry. With P&G’s help the company expanded tremendously, and by 1994 its products were being sold in 55 countries. Pantene also held the status as the world’s leading hair care brand in sales, and passed the $1 billion dollar mark in revenue that year. In 2015, P&G sold 43 of its beauty brands to Coty Inc. and many believed that they were completely stepping away from the beauty sector. However, Pantene was one of the few beauty brands that P&G continues to place faith in, stand by, and expand, now with focused attention. Pantene makes everything hair care. They are famous for their 2-in-1 shampoo and conditioners, they’ve got separate shampoo and conditioner for every hair type and concern, they make hairspray, a great split-end repair cream, overnight serums, gel, mousse, heat protectant sprays, dry shampoos, leave in conditioners… I could go on. 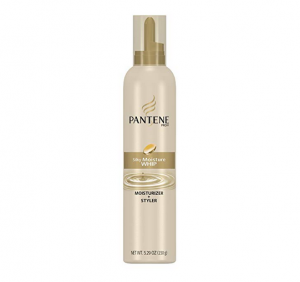 Pantene products are all expertly formulated and feel expensive – even though they are not. Washing hair every day can be damaging because, a) if you blow-dry your hair after washing, it’s best to limit heat damage and b) it’s important to let natural oils do their thing sometimes for the softest, healthiest hair results. Dry shampoo is a great way to keep your hair looking and feeling fresh in between washes, and Pantene Dry Shampoo is a great one. It absorbs excess oil with natural tapioca, and the powder is very finely milled so it doesn’t look chalky or weigh your hair down. This dry shampoo is not the most mattifying, which some may enjoy, but it isn’t matte enough for super oily hair. 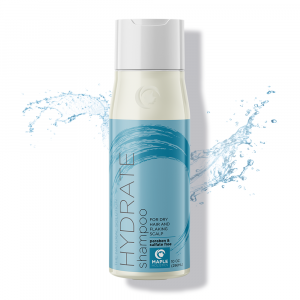 It refreshes the hair well, but the effects only last for about six hours so again, it isn’t the best for very oily hair. 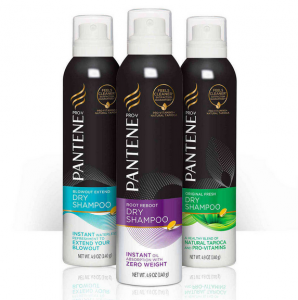 Pantene has launched a newer line of dry shampoos which includes the Original Fresh Dry Shampoo, the Blowout Extend Dry Shampoo, and the Root Reboot Dry Shampoo. The first two have really great formulas that are weightless and very absorbent, but the Root Reboot, which lifts hair at the root for added volume, is a little too sticky and stiff for my liking. All three have a major problem with dispenser clogging. That can be avoided by rinsing the nozzle after every use, but let’s be real, no one’s got time for that. Hopefully the dispenser issue will be sorted out because the Original Fresh and Blowout Extend are amazing dry shampoos. 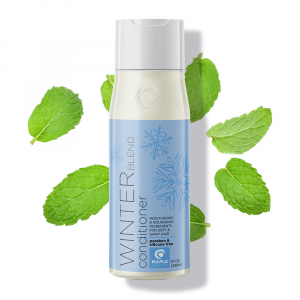 The Cleansing Conditioner is designed specifically for co-washing, meaning washing hair with conditioner only. This technique cleans without stripping the hair of any of its natural moisture or oils, and it’s perfect for very dry or tightly coiled hair that struggles to retain moisture. 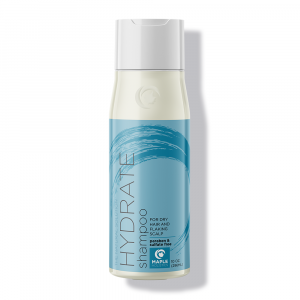 This is a low-lather cleanser that is sulfate-free so it’s well suited for colored or treated hair which can alter or fade quickly via shampoos and sulfates. It is enriched with oils like jojoba and coconut which soften and repair. The Clarifying Shampoo is part of the Truly Natural line and recommended for bi-monthly use alongside regular co-washing. 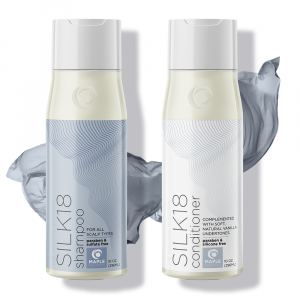 It works against product buildup which damages the scalp and hair, leaving it completely clean and clear, but it’s gentle enough that it won’t reverse all of the conditioning you’ve been doing. RELATED: Check out our brand features covering Suave, Oribe, Make Up For Ever, That’s It, Physicians Formula, and Jose Eber! 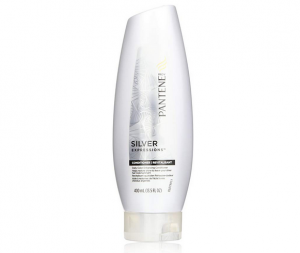 Silver Expressions is a brightener and corrects yellow tones, making silver hair look vibrant and actually silver, not a brassier grey. It is also a nicely moisturizing line, leaving the hair very nice to the touch. Unfortunately, and quite confusingly, this product has been discontinued. Mature women might enjoy the Pantene Expert Age Defy line instead, which brightens color as well and fights thinning and breakage. Pantene’s newest slogan is “Strong is Beautiful,” and this shampoo is its mascot. It contains antioxidant and split end reducer Vitamin E, and can revitalize damaged hair or simply strengthen normal hair. It reduces frizz and hair is clinically proven to be less prone to breakage or to falling out after continued use. 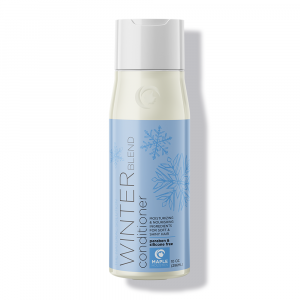 This product is very moisturizing which I personally love, but if you have fine or oily hair it may appear to be greasy and you’ll want to go for one of their less conditioning shampoos, such as the Ice Shine Shampoo. This product dispenses like a mousse, but it is more of a multi-purpose serum. 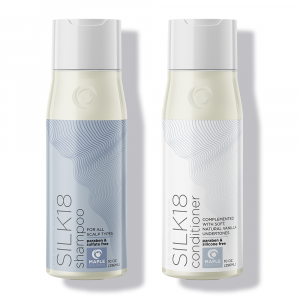 It conditions the hair, protects it from styling damage, controls frizz, and tames flyaways, leaving hair healthy, shiny and easily manageable. It is lightweight but it can weigh down the hair if you use too much of it. This product has been discontinued by the company but can still be found online for the time being. As women, our hair is closely tied to our confidence and our identity, and women battling cancer have spoken about how disheartening losing their hair was for them. It may seem like a triviality compared to the bigger picture of what these women go through, but looking in the mirror and not recognizing themselves, looking in the mirror and seeing someone who is clearly sick, can be very devastating. Donate Hair with Pantene Today! Giving someone the gift of a wig that looks and feels natural is incredibly empowering for both the person who donates and the recipient. It’s easy to feel like there’s nothing you can do to help when a loved one is suffering. Hair won’t fix things, but helping women with cancer feel confidant and beautiful has really seemed to uplift them in a small, but powerful way. The Pantene Beautiful Lengths program is an initiative that began in 2006 and has contributed 42,000 wigs to women fighting cancer since then, and has inspired many others to donate their hair. Human hair wigs are expensive, and with the onslaught of medical bills facing these women, it’s something many can’t afford to purchase themselves. If you’re considering donating your hair to the program, do it! Hair grows back, short hair is more chic than ever, and this experience is something that you will always have. Make sure that your hair meets the donation requirements before cutting it. The donated hair must be at least 8” long, no more than 5% grey, and not chemically treated, bleached or permanently dyed. To prepare hair for donating, wash it with shampoo and don’t put any products in after you get out of the shower. Tie it into a ponytail 8 or more inches up from the end of your hair, and place another band at the bottom of the ponytail to keep the hair bunched together. Cut your hair right above the ponytail and give yourself a major pat on the back for spreading the love (and the hair). Let it dry completely if it isn’t already and then put it in a tightly sealed Ziploc bag. Ship it out to the address below with your full name and return address if you’d like a letter confirming its arrival. If you want to contribute to the program but your hair doesn’t qualify, you can contribute a monetary donation to help fund the creation of more wigs. Is Pantene Cruelty-Free? 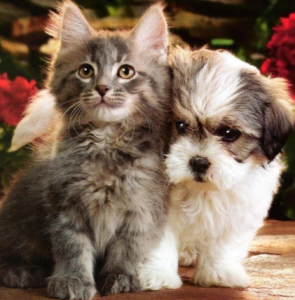 Does Pantene Test On Animals? Translation: They are pretty good with their animal testing policies, but they sell their products in China where animal-testing is required by law. Pantene is cruelty-free, with the exception of their business in China. Thanks for reading our Pantene review! For more on great personal care companies like Lush, Dove, Avon, or Biore, check out the rest of our blog here at Maple Holistics! 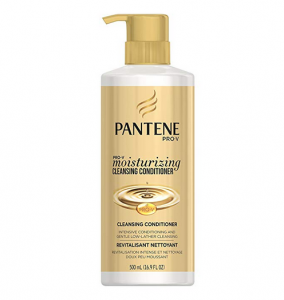 Pantene’s hair care products are a favorite of mine because they live up to their claims more often than not, and I have seen real changes in my hair’s appearance after using their shampoo and conditioner for my hair type. It’s one of those products I continue to enjoy and repurchase again and again, and their wonderful hair donation program only helps!